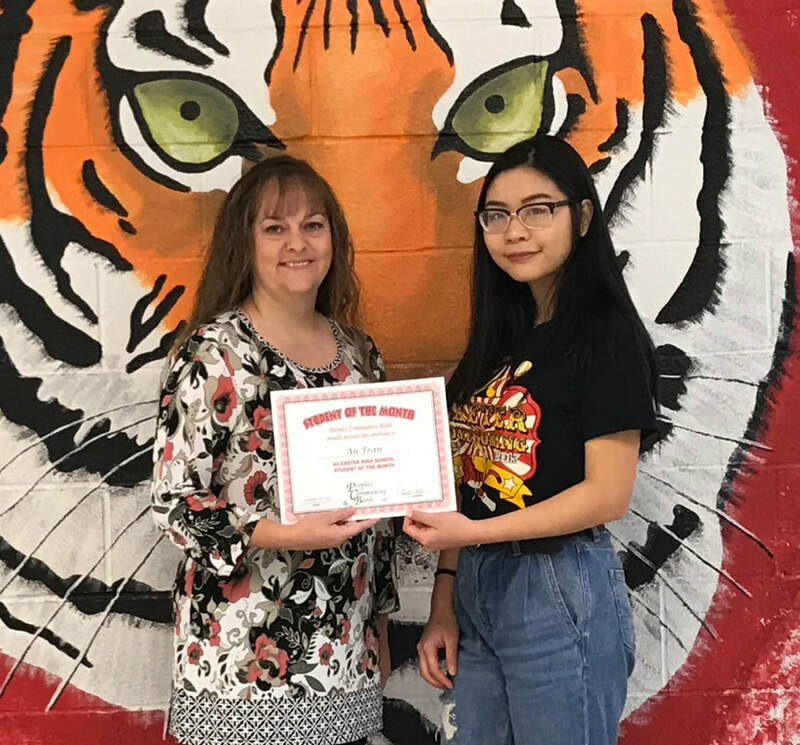 For the month of October, People’s Community Bank handed out a Student of the Month certificate to a qualified student at Exeter High School. The October Student of the Month is An Tran. She will receive a $50 Graduate Certificate of Deposit and a personalized certificate for her records. The qualifications to become the People’s Community Bank Student of the Month is a combination of grades, extracurricular activities, and positive interactions with other students, teachers and staff. Pictured above is a photo of Alissa Porter, bank representative, on the left and An Tran on the right.